Bank fixed deposits is an all-time favorite investment vehicle for a large number of investors. While bank fixed deposits offer secured returns and other intrinsic advantages like option of availing loans and flexible tenure, banks are quite often the first ones to reduce interest rates on deposits in case of a recession or bad market economic scenario. Since most banks offer similar interest rates, the reduction of fixed deposits interest rates is usually uniform across all public and private banks. It is during such a scenario that investors look for alternate investment options that can offer similar advantages as bank fixed deposits. Non bank fixed deposits or corporate fixed deposits are one such option that allows investors to invest their funds as deposits under various fixed deposit schemes. These non banking financial institutions have the complete authorization of Reserve Bank of India to seek investment from normal public and must not be compared to other crony ponzy schemes often operating in a recession market. Let us look at various aspects of investing in a Non-Bank Fixed Deposits or company fixed deposits a s they are commonly called. 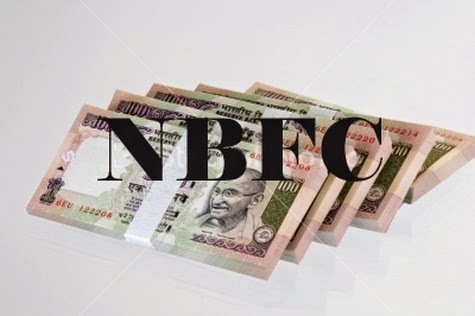 Types of NBFC Fixed Deposit Schemes: Investment in fixed deposit schemes of various non-banking financial companies have been authorized by RBI to have a term period between 12 months to 5 years. The rate of interest for such non banking financial companies FD schemes is higher than traditional bank fixed deposits but the investments are highly unsecured. Non Banking Financial Companies have a two tier system for investors known as the cumulative fixed deposit scheme and non cumulative fixed deposit scheme. In the cumulative fixed deposit scheme, NBFCs offer interest at the end of the fixed deposit tenure. The interest keep son getting accumulated to the principal amount leading to higher returns. At the end of the investment tenure period, the investor gets principal amount along with the accumulated interest. On the other hand, in case of a non cumulative fixed deposit, the interest earned by the investor is paid off on a regular periodic basis depending on the preference of the investor. Interests are usually paid out quarterly, half yearly or annually. Since in case of non cumulative fixed deposits the interest earned in not added to the principal invested amount, the returns are lower compared to non cumulative fixed deposits. Fixed Deposits and Company Ratings: Before investing in fixed deposits in non banking financial companies, an investor must do a background check of the company in terms of its rating and performance. Various financial agencies like CRISIL and ICRA rate such non banking financial companies that accept investments from general public. The ratings are done in accordance to the new owned fund or NOF of the company along with RBI slabs and ceilings. The ratings of NBFCs give a perfect yardstick for investors to choose the right company for investment of their funds. Interest Rates: Non banking financial companies offer higher interest rate for investments compared to bank fixed deposits. Reserve Bank of India has stipulated the maximum upper limit for interest rate at 12% for all investments made to various NBFC fixed deposit accounts. Considering the fact that maximum interest rate in today's economic scenario offered by banks ranges close to 9%, non banking financial companies offer interest rates between 9 to 12% making them an attractive investment option for a number of investors. Premature Withdrawal Options: Investing in fixed deposits of non banking financial companies come with a lock in period of 3 months. After the expiry of the initial lock in period, the investor is free to withdraw funds prematurely from the deposit. Each NBFC can its own terms and conditions catering to penalties and calculation of interest accrued for premature withdrawals. Other Advantages: While the investment may not be highly secured as bank fixed deposits, NBFCs offer a higher interest rate than bank fixed deposits. Like bank fixed deposits, nomination and premature withdrawal facility is available for company fixed deposits. The procedure to enter any company fixed deposit investment scheme is simple and non complicated allowing common investor to invest with ease.